Welcome to the latest episode of Londonist Out Loud, a podcast about London, as recently recommended by The Telegraph. You can listen in-browser, or subscribe via iTunes or RSS. We’re also available on Stitcher. The podcast takes place inside the historical St Olave's Church and explores the history of black people in London. Dr. Miranda Kaufmann explains how she reconstructed the stories of black men and women who lived in London during the 16th and 17th centuries by searching through the parish records and registers. 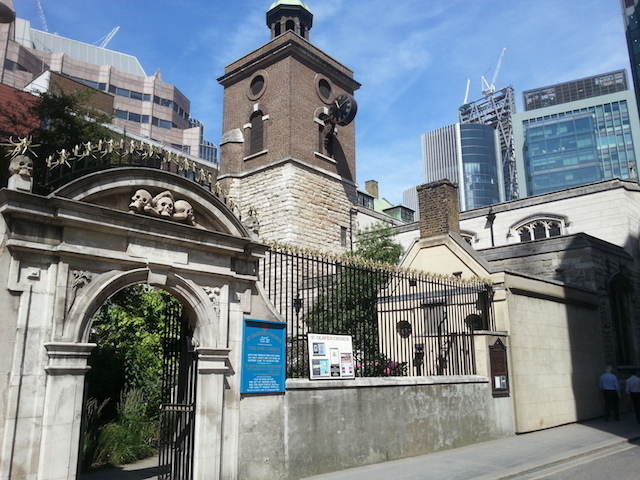 Find out the connection between the St Olave's Church statues and the history of slavery in London, and learn the lesser-known facts about the capital's slave trade. Choose any title from their online library of over 60,000 digital audiobooks, with a special 30 day free trial of the Audible service. You can listen to your audiobook on all iPods, iPhones, iPads and on compatible phones and MP3 Players – you can even burn to a CD and listen in the car. Your free audiobook is yours to keep, whether you decide to cancel in your trial period or not. Show notes by Silvia Baretta.